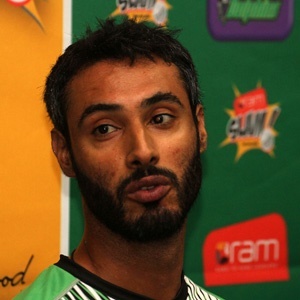 Cape Town - Dolphins assistant coach Imraan Khan is hoping they can build on their impressive start to the RAM SLAM T20 Challenge when they host the Knights at Kingsmead in Durban on Friday. The KwaZulu-Natal franchise dispatched the Cape Cobras in record fashion at their tournament opener in Centurion last Sunday thanks to a flying Sarel Erwee century that helped them post the highest ever score in the competition's history - they made 231/2. The Knights too won their opening game, a triumph over the Warriors in Port Elizabeth, but they were brought tumbling down to earth with a heavy loss to defending champions the Titans on Wednesday. Khan revealed they had prepared very well despite the heavy rains experienced in Durban this week. "The boys are really excited to be back home, especially after a very good performance up in Pretoria," he said. "So the confidence is high, the preparations have gone very well and we've trained really well leading into this game, albeit indoors due to the rain. We look forward to it." Despite the good showing at Centurion, there are still things the Dolphins are working on to improve. "There's few things, I think if you look back at our running between the wickets and fielding in general from last season, it was an area of concern," Khan adds. "We have been looking into it and the guys have put in a really good shift during the winter to get better in those areas. So you're starting to see that more in these white-ball games." For Knights coach Nicky Boje, defeat to the Titans on Wednesday was one he would quickly like to forget as they prepare for the challenge on the coast. "It was a tough game against a very good and experienced team," he said. "But it's only two games gone and we've learnt from both of them. Hopefully we can improve tomorrow on the mistakes we made." The Knights coach is expecting another tough one in Durban, but is confident they will bounce back. "They played well in that first game, didn't they? They had a few extra days to prepare as well. But we'll be ready for them on Friday," he concluded. No rain is predicted for Friday. Play starts at 18:00.